The Foundation has given me a lot of opportunities: to be in a quiet place where I can sing my music, to express my culture and to simply be myself. 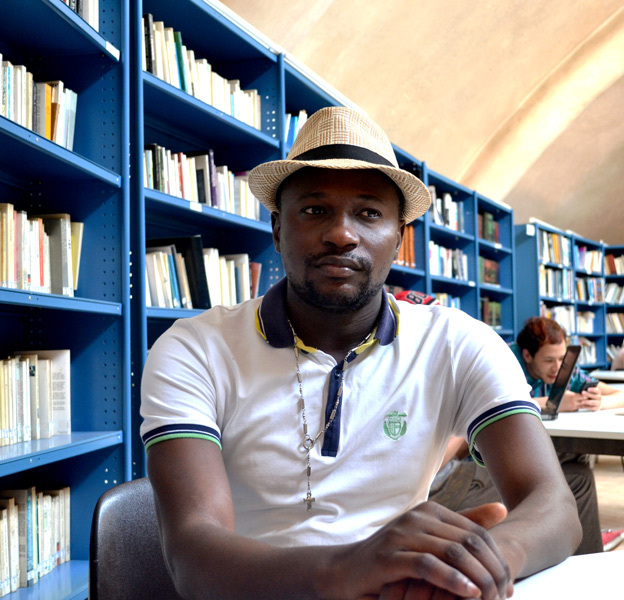 Placide is one of the many musicians that every year animate the Festival Rabat Africa, organized by the Fondation Orient-Occident in Rabat in occasion of the World Refugee day. In fact, every year, the Festival welcomes musicians, dancers and artists from the most diverse cultural horizons: Africa, Maghreb, Europe, United-States, with the purpose of strengthening the value of respect within and between diverse cultural traditions. Music is central at the Festival Rabat Africa: music is the central means for the discovery of peoples’ histories, their habits and lifestyles, and for the expression of people’s own cultural traditions and trajectories. This becomes possible thanks to the contribution of all the artists that bring their journeys, talents and instruments together to concert beyond cultural, and any other, limit.